A big trading loss is painful, no doubt about that. You play this game to win. And if you lose here and there, it’s important to cut those losses short so they don’t have a markable impact on your entire trading capital. But what if you really screwed it up and managed to record a big loss? This might sound strange to you now, but there is actually something positive about your big loss – or at least you can take it in a positive way. First of all note that all successful people have made mistakes at the beginning or had to live losses in their field, on their way to their final success. Losses and mistakes are part of the way to success. They even need to be made in order to learn from them. It’s proven that people mostly learn from their own mistakes and pain, rather than from the good advice of other people. So see your mistake, your loss, as s necessary step on your way upward. Do you think after this emotional low you will ever make this same mistake again? Which crucial mistake led to the big loss? Did you hold the coin too long while price kept descending deeper and deeper? Did you think you just need to wait till price goes up again but it didn’t? So you finally sold at a massively reduced price? Be aware of your mistake and keep it in mind so you never hold any coin again that long, without a stop loss. A big mistake of beginners is that they “get married to a coin”, meaning they hold on to it because of an emotional attachment. They like to coin and just can’t imagine it losing a lot of value for some time. Just as an example for a common big mistake. 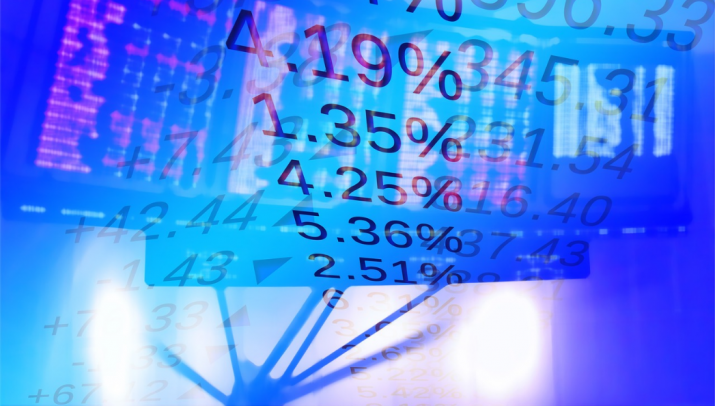 Analyze what’s left and if you can afford to still invest it in more trades. One of the most important basic rules of trading is not to risk money you can’t afford to lose. Trading capital should only come from any extra savings you have on the side, not from the money you currently need for a living. So check if you actually have money left for trading or if you should wait till you could put some money on the side again. Now it’s about keeping control over yourself. When you go on trading, make sure you act as professionally as possible. From now on you need to be disciplined and strictly stick to your trading plan which has to be well-thought-out. Make sure you use stop loss orders always, no matter how much getting stopped out annoys you. Keep rational, don’t trade emotionally. Be aware that now it’s about the most important pro trader skills ever: patience and discipline. Remember that successful trading is a journey, not a one time thing. Don’t try to “get the money back” by investing in too many coins. This could easily lead to over-trading which usually leads to a range of bad trades because they trader can’t focus on too many trades at once. Focusing on few trades is always better than hopping between too many charts leading to confusion, and therefore to a lack of quality of your single trade executions. Focus on few but well managed trades once at a time. Appreciate stops/small losses as part of the game – they save you from losing more. With the right mindset and discipline you can compensate your loss over time and even become a successful crypto trader if you pursue this goal with passion. Imagine a point in the future where your current loss will be something you can just smile about. One of the best ways to make sure never to make major mistakes anymore is to prepare yourself properly. Most traders first start trading and then they start to learn trading at the same time. But it would be way better and way smarter to first learn all the chart analysis measures, high probability trading strategies and proper risk management BEFORE you ever risk a Cent. 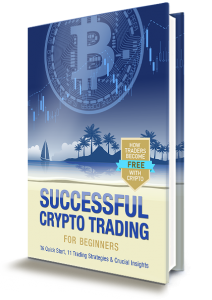 That’s the approach of our new crypto trading book for beginners. It teaches literally all you need to know for successful trading and for never again losing much. With the knowledge of this ebook traders have a compete different trading start than most other people. 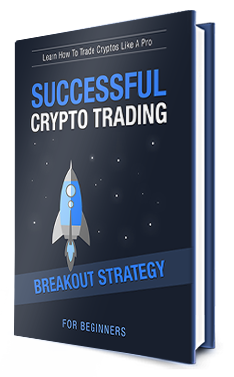 The book is also perfect if you are not a complete beginner since there are for sure tons of tricks, trading strategies and insights you wouldn’t have known yet. Check the ebook out here.